At Animal Health Centre we offer a comprehensive medical, surgical and hospital facility that provides everything you would expect from a modern veterinary practice. Friendly staff who know you and won’t treat you like a number. 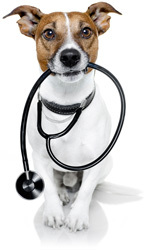 Expert, caring vets, each with at least 15-20 years experience. Owner-operated, so personal interest in providing great service. Continuity from a small tight-knit team with great communication.